The region of Campania stretches over a wonderfully varied area of Italy, covering coastal areas as well as fertile and beautiful plains further inland, with the picturesque tranquility of Capri, Ischia the Amalfi coast, the city and province of Naples including Pompeii, are unforgetable! Campania is one of the regions of Southern Italy and stretches along the Tyrrhenian Sea, from the mouth of the Garigliano River to the Gulf of Policastro. 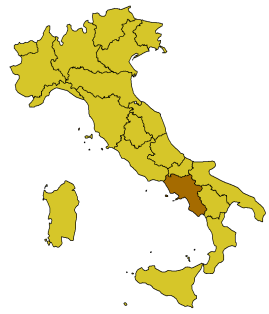 The provinces of Campania are: Naples (the regional capital), Caserta, Benevento, Avellino and Salerno. This region is one of the most charming because of its flourishing Mediterranean vegetation, with its small, characteristic towns full of history and traditions. The mild climate, the beauty of the coasts, the richness of its art and history, and the love for food make Campania unforgettable. Begining with the sea, the region’s uncontested queen,with its intense colors, its coasts that are full of bays, coves and rock faces. Places not to miss are Paestum; Pompeii, Herculaneum, and Torre Annunziata; the Chartreuse of Padula; and the Royal Palace of Caserta. For all the food lovers Campania is the proud mother of three of Italy’s best-recognized contributions to the food scene: macaroni, pizza and tomato sauce. Since the region is also acclaimed for its fabulous water buffalo mozzarella cheese, it’s no wonder some remarkable combinations have resulted. Campania, like many Italian regions, is home to an impressive array of grape varieties, some of which are found almost nowhere else on earth. Its most important variety is arguably Aglianico, the grape behind the region’s two most famous and respected red wines: Taurasi and Aglianico del Taburno. There is no doubt that the Campania region will fullfil all your expectations!